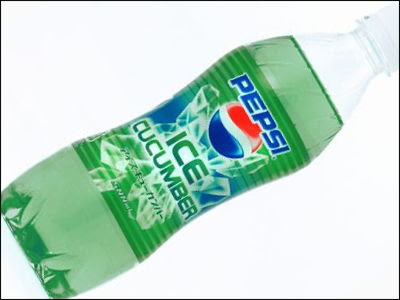 Yes, you read the headline correctly: Pepsi is planning to release a special Ice Cucumber-flavored drink in Japan this summer. 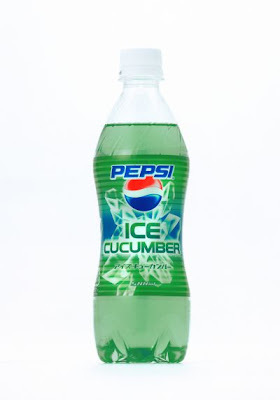 According to the official press release (in Japanese), the new drink flavor will hit stores across Japan on June 12th, but it will only be available for a limited time. 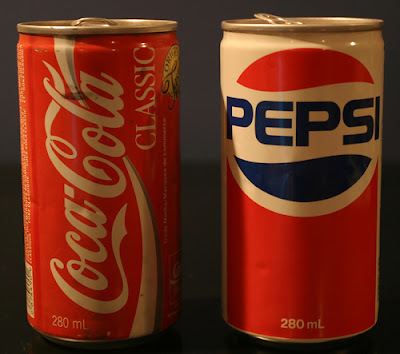 Are you ready for the ultimate Pepsi experience? ST. JOHN’S – Marine scientists in Canada and abroad are puzzled by bizarre photographs that appear to show the skeleton of a large mammal jutting out of an iceberg that recently drifted past Newfoundland’s east coast. The six pictures show what looks like a brown rib cage and spinal column, slightly bent, sticking out of a crust of ice. But researchers throughout Canada, Greenland and Norway are unable to determine the origin of the skeleton, said Garry Stenson, a marine mammal scientist with the federal Fisheries Department. His colleagues have been debating whether the carcass belongs to a bearded seal, a walrus or a beluga whale. But without the actual specimen in his hands, Stenson said he can’t resolve the mystery. “It would be really nice to get a copy, a sample, a hold of it, but at this point we’re not quite sure what it is,” he said. The photos were taken near Newtown, in Bonavista Bay, by Eli and Donna Norris on the weekend of May 26, said Ruth Knee, a friend who forwarded them to the Fisheries Department in hopes of identifying the bones. The Norris family couldn’t be reached for comment today. Knee said the retired couple didn’t want to be interviewed, but said she could vouch for the authenticity of the photos. “Not everybody wants their 15 minutes of fame,” Knee said. Stenson said he is fairly certain the pictures aren’t a hoax. Stenson said he was told the backbone was roughly 2.4 metres out of the ice, leading him to believe the spine belonged to a large mammalian creature. But he is uncertain whether the animal would have fallen into a crevasse in an iceberg and then got stuck, or if it simply died on an ice floe and later became embedded by other pans of ice. “It could be a walrus, for example, that died and is laying on its back and the pressure of the snow and the ice has flattened those ribs,” he said. The bones don’t appear very weathered, and it looks like there may be tissue still attached to them. Stenson wouldn’t speculate on how old they are because the ice may have preserved them for years. The iceberg’s location, or if it was still intact, weren’t known Monday. “Sometimes a lot of my mysteries never get solved,” Stenson said with a sigh. 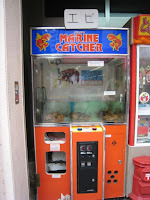 The province’s coastline has been the setting of a number of strange discoveries in the past. But two weeks later a Memorial University biologist confirmed through DNA testing that it was a decaying sperm whale. Atheism is just a fad, it’s the latest thing people are catching on to either for attention, for a sense of “belonging” to a certain group, or just for the sake of being controversial. Why are people making such a fuss about it, (especially on the blogosphere)? There are people who worship all sorts of things and those who worship nothing at all, big deal. This fad will die down as fast as it started. MOGADISHU, Somalia (AP) — At least one U.S. warship bombarded a remote, mountainous village in Somalia where Islamic militants had set up a base, officials in the northern region of Puntland said Saturday.The attack from a U.S. destroyer took place late Friday, said Muse Gelle, the regional governor. The extremists had arrived Wednesday by speedboat at the port town of Bargal. Gelle said the area is a dense thicket, making it difficult for security forces from the semiautonomous republic of Puntland to intervene on their own. A local radio station quoted Puntland’s leader, Ade Muse, as saying that his forces had battled with the extremists for hours before U.S. ships arrived and used their cannons. Muse said five of his troops were wounded, but that he had no information about casualties among the extremists. A task force of coalition ships, called CTF-150, is permanently based in the northern Indian Ocean and patrols the Somali coast in hopes of intercepting international terrorists. U.S. destroyers are normally assigned to the task force and patrol in pairs. CNN International, quoting a Pentagon official, also reported the U.S. warship’s involvement. A Pentagon spokesman told The Associated Press he had no information about the incident. “This is a global war on terror and the U.S. remains committed to reducing terrorist capabilities when and where we find them,” Pentagon spokesman Bryan Whitman said. Puntland’s minister of information, Mohamed Abdulrahman Banga, told the AP that the extremists arrived heavily armed in two fishing boats from southern Somalia, which they controlled for six months last year before being routed by Ethiopian troops sent to prop up a faltering Somali government. “They had their own small boats and guns. We do not know exactly where they came from – maybe from Ras Kamboni, where they were cornered in January,” he said. Local fishermen, contacted by telephone, said about a dozen fighters arrived Wednesday, but Puntland officials said the number could be as high as 35. The United States has repeatedly accused Somalia’s Council of Islamic Courts of harboring international terrorists linked to al-Qaida and allegedly responsible for the 1998 bombings of the U.S. Embassies in Kenya and Tanzania. The U.S. sent a small number of special operations troops with the Ethiopian forces that drove the Islamic forces into hiding. U.S. warplanes have carried out at least two airstrikes in an attempt to kill suspected al-Qaida members, Pentagon officials have said.